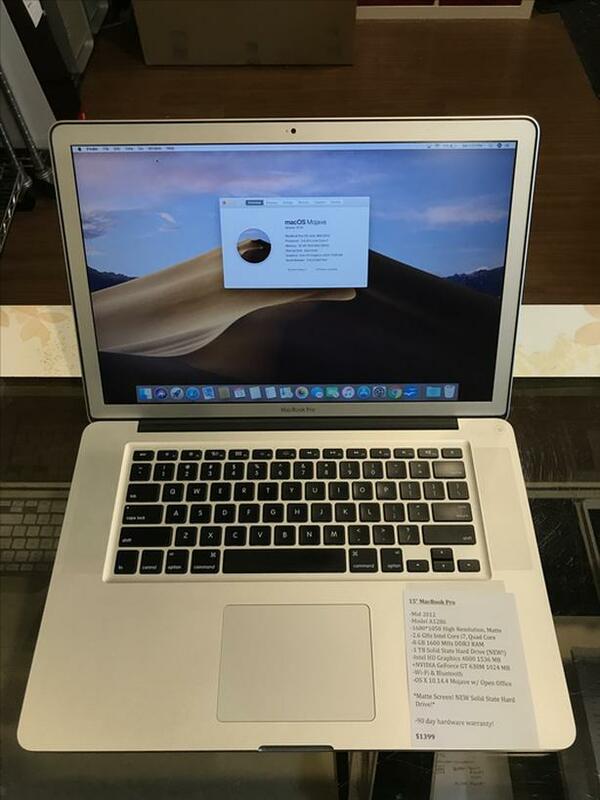  Log In needed $1,399 · 15" MacBook Pro 2.6GHz Intel Core i7 Quad 16GB RAM 1TB SSD w/ Warranty! We have a 15" MacBook Pro! This model has a high resolution matte screen!